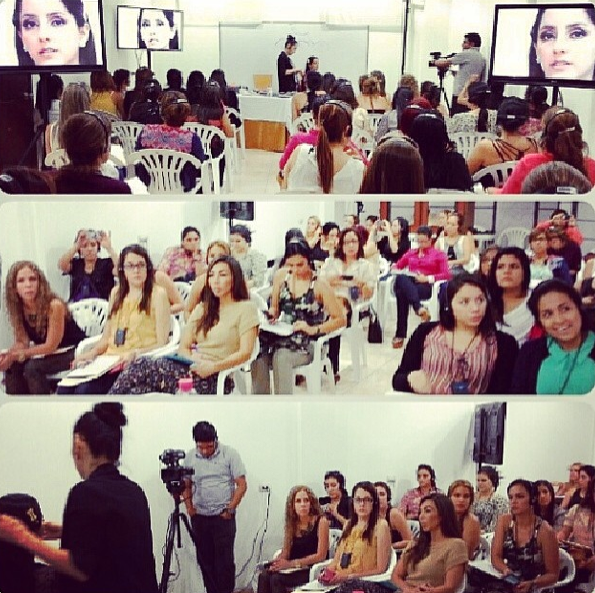 Yuko gave a 4 day class in Ecuador at the Cuty Ycaza beauty school in March 2014. 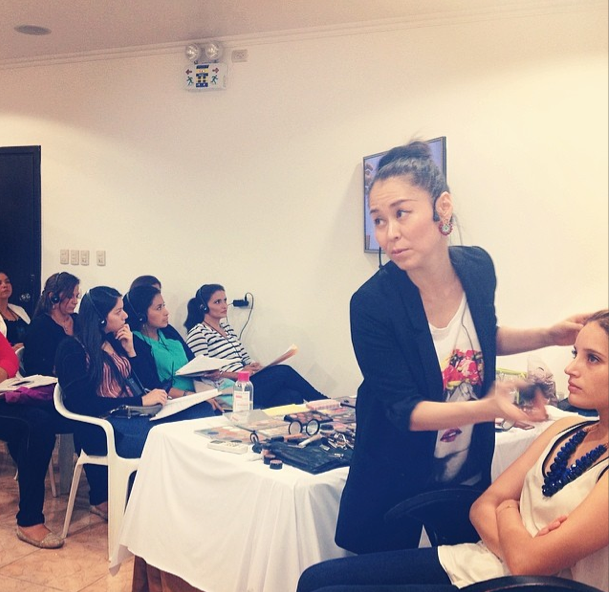 Her classes included makeup demonstrations which was translated from English to Spanish as she explained by a translator. Her demonstration was displayed in detail using video screens, so all the students in the classroom could see well. Yuko gave all the students hands on instructions. Watch how excited the students after the classes on Yuko’s Instagram.